Today so-called ethical investments are very much in fashion. However, this trend comes with its own set of challenges. In the second part of this blog series, we talk about what integrity means. This is a well-known story about Mahatma Gandhi. It is probably just a legend. But it illustrates the ethical challenge the financial industry faces beautifully. There was a woman in India who was upset that her son was eating too much sugar. No matter how much she chided him, he continued to satisfy his sweet tooth. Totally frustrated, she decided to take her son to see his great hero, Mahatma Gandhi. The woman was perplexed and wondered why he had not told the boy to stop eating sugar. Anyway, she took the boy by the hand and went home. The boy nodded and promised he would stop this bad habit. The moral of the story is that Gandhi lived in such integrity. He would not allow himself to give advice unless he was living by it himself. Today, so-called ethical investments are in vogue. Customers ask for them: in response, banks and fund managers offer some sort of “ethical funds” or “impact investments”. It looks very much like a question of demand followed by supply. In some ways, it’s a good thing. People are becoming interested in the role investment plays in making the world a better place. But what if those who offer such services are not living up to the ethical standards that they demand from others? What if they have engaged themselves in practices less than respectable. Regulations following the Financial crisis is slow coming. It is only 2018 MiFID II came into effect, aiming to increase transparency and customer protection. With or without regulations, shouldn’t one put one’s house in order first, before telling others to do so? This is the core of the HCP concept of distinguishing between “internal responsibility” and “external responsibility”. In our view, there is a little point in telling others to clean up their act unless we have done so ourselves. Otherwise, we shouldn’t be judging others. One must stop eating sugar before telling others to do so. Good asset management is indisputable investment expertise, respect for customers and transparent pricing. This is not all for HCP. A healthier financial sector, better financial service, and support for individuals – this is what we believe in and work for. The stock market kept roaring ahead in March. The first quarter of the year was one of the best in history all over the world. The HCP Quant fund’s performance after fees was +5.18%, which made the first quarter’s return +14.93%. 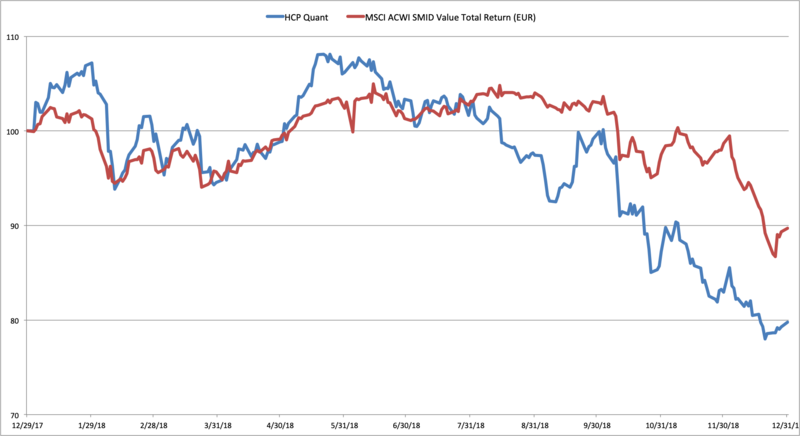 The benchmark MSCI ACWI SMID Value Total Return index’s was 0.86% in euros, and the beginning-of-the-year gain was 14.10%. The S&P 500 Total Return index measuring the development of large US companies rose by 3.41%, making the entire beginning-of-the-year return 15.99%. In Europe, the S&P Europe 350 Total Return made +2.30% and +13.16% respectively. 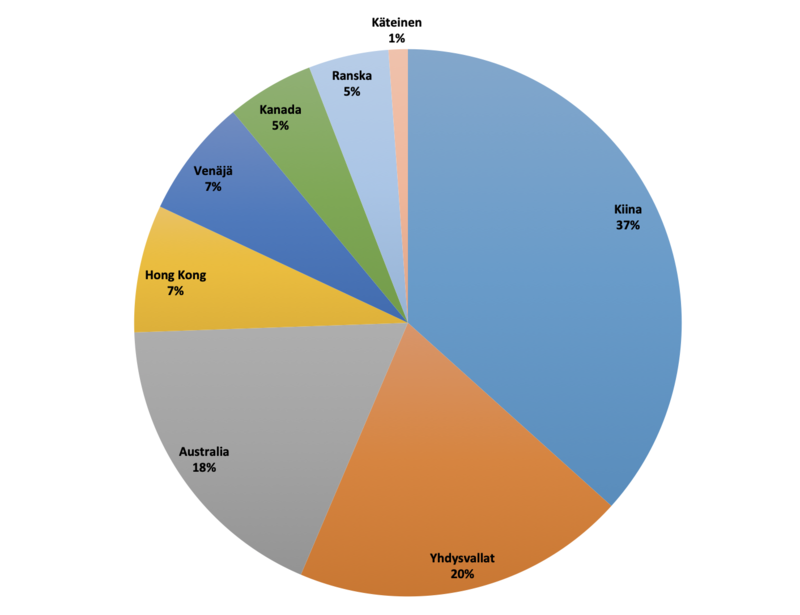 In terms of geographic diversification, China’s share has decreased from 37% to 31%. Last year’s average weighting was 29% so the country has approximately the same weighting as before. The share of the US has on the other hand decreased from 20% to 15% and Hong Kong’s share has risen from 7% to 15%. Other countries’ changes were within a few percentage points. Growth stocks have outperformed value stocks for over ten years now. This will come as no surprise if you have read past HCP Quant investor letters. I have discussed the topic on several occasions. The current period has been favorable to growth stocks long historically. Could it be that we have moved on to a “new normal,” in which valuations no longer matter? A perspective to this question is given by Rob Arnott in his presentation Are Valuations Irrelevant? at the Advisor Symposium 2019. A large part of investors run after profits. More specifically, after profits that have already materialized. The term for this is yield chasing or trend chasing. The mistake made by many investors is that they project things to continue as before. Well-performing stocks (and investing strategies) are expected to keep performing in the future, and correspondingly poorly performing ones to keep going. In the short term, this does actually happen and this is known as a momentum anomaly. In the long term, this is rendered dysfunctional by the phenomenon of mean reversion. The last few years have gone specifically as dictated by the development of large growth companies. The list of largest companies is nevertheless very unstable. Since 1980, typically only two companies out of ten have remained on the list of the ten largest companies over the following ten years. It’s windy at the top! Companies disappear from the list because their returns are weaker than those of others. Mean reversion is evident here as well. When it comes to funds, Arnott gives an example of how the best-performing funds over a three-year period have been performed the worst over the following three years. Correspondingly, the worst-performing funds over three years have been the best-performing ones over the following three years! When funds are divided into deciles based on their three-year returns, past performance correlates quite strongly with the respective expected future performance. This is once again due to mean reversion. Stocks and investing styles, like growth investing now, go out of fashion. In investing, things occur in cycles with the factors in favor alternating from one period to another. 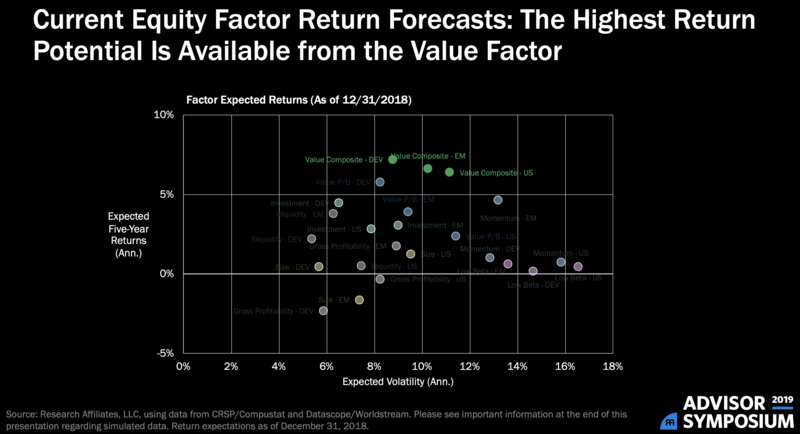 Based on Rob Arnott’s predictions, value stocks have the greatest performance potential over the next five years. In the long run, especially US stocks have weak performance expectations. 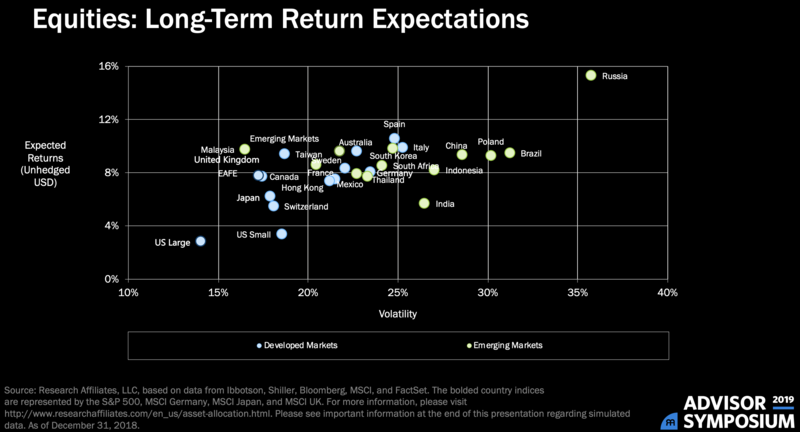 The best performance expectations are in Russia, in Europe, and in developing markets, like in China. Valuation levels and performance following are strongly interconnected. In the United States, valuation levels are high, which indicates lower returns in the long run, even though the beginning of the year looks otherwise. Many investors nevertheless invest their money in US markets. High and realized gains are like a beehive attracting a salivating investor to itself. If you reach for the hive, be prepared to be stung. Below is a ratio comparison between the HCP Quant fund and the US S&P 500 Total Return index. Which valuation level’s stocks do you think the market will favor over the next five years? Today so-called ethical investments are very much in fashion. However, this trend comes with its own set of challenges. In this series of blogs, we explore some of them and present our responses. Unfortunately, some of the most aggressive marketers of ethically labelled investments are the very same organisations that, year after year, are caught red-handed in scandals. Money-laundering, tax-evasion, structured products, closet-indexing – the list goes on. This is unacceptable. Those organisations undermine public confidence in the topic but also in the financial industry. Given that more than a decade has gone since the financial crisis, ethics in finance should have become the norm. HCP aims to be a force of good in the financial industry. This is what motivated us in achieving the B Corp certificate in 2017. We have produced the annual Sustainability Report since 2014. We can do more. We have many dialogues with our stakeholders to understand what ethics means, why it matters, and what they expect from HCP. Our primary stakeholders are clients and employees, but we engage more widely to be on top of the debate. In this series of blogs, we set out our current thinking on ethics and the role of the financial industry. In doing so, we share our ideas and values. We also draw ideas from thought leaders and from our stakeholders. In the first part of the series, we discuss why the financial industry exists in the first place. The financial industry functions as an intermediary that enables the efficient allocation of capital and risk. Imagine the economy as a whole is a farm. Then the financial industry is the drainage and irrigation system, collecting water from where there is a surplus and dispensing it where there is a shortage. Critics of the financial industry like to point out that the financial industry has just a supporting function. It is neither the farm nor water. All production and wealth creation takes place in the fields (that can be said to represent physical industries); capital is the water that provides the resource. The drainage and irrigation system may look like just distributing water to the fields. But can you imagine the farm without a drainage and irrigation system? We can also compare the whole thing with the human body. If the economy is the physical body, then the financial industry is the circulatory system that distributes oxygen and other nutrients. Just like the circulatory system reaches every part of the body, the financial industry connects all industries. This connectedness leads to many things. Most importantly, what happens within the financial industry affects all other industries. In comparison, the health care industry does not affect the energy industry as much. This is why responsibility in the financial industry is so important – and hence ethics in finance. If the circulatory system is contaminated, the whole body suffers. Likewise, if the financial industry is corrupt, the whole economy suffers. This is because the financial industry cannot be isolated from the rest of the economy. WE HAVE invested in Facebook through HCP Focus portfolio since May 2016. In March last year, the ESG rating of Facebook was downgraded from BBB to BB in MSCI ESG database. ESG ratings evaluate the sustainability of companies based on environmental, social and governance factors. 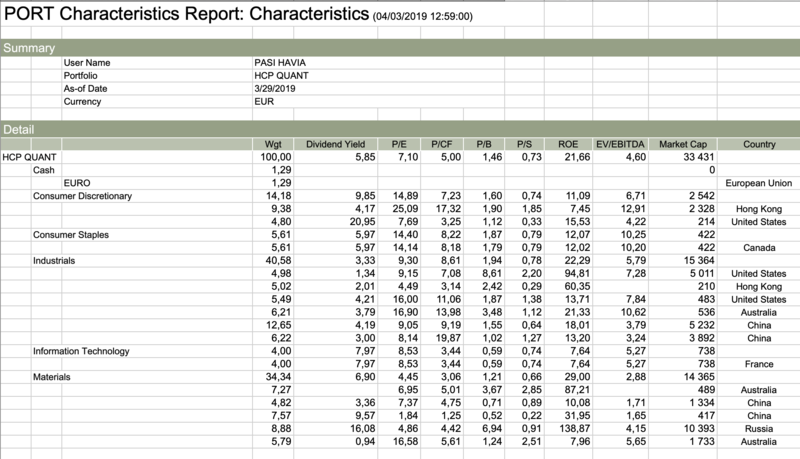 At HCP, the Head of Risk Management screens the ESG scores of the companies included in the HCP Focus portfolio annually and informs the portfolio manager on companies with low ratings. The portfolio manager then analyses the red flagged companies case by case. After a thorough analysis, the HCP Focus portfolio manager Ernst Grönblom has decided to keep investing in Facebook. “Social media is still an industry in its infancy and it is still too early to say where it is headed. I decided to keep Facebook in the portfolio because I believe that despite all its serious problems, the net effect of social media is still positive”, Grönblom says. Grönblom also points out that social media is such a new phenomenon, that investors can still influence the development of the sector through active engagement. ACCORDING to Grönblom’s analysis, the most severe of the current controversies regarding Facebook is the Cambridge Analytica (CA) data breach. You can read the Facebook ESG analysis here. In March 2018, New York Times and the Observer revealed Cambridge Analytica had obtained private information of more than 50 million Facebook users without their consent. Allegedly, CA had used this information for ads-targeting, and eventually political campaign micro-targeting during the 2016 U.S. elections. Although the CA data breach brought attention to serious shortcomings in user privacy, transparency, and self-regulation of Facebook, according to Grönblom, the company has addressed many of the systemic weaknesses swiftly and decisively. For now, it seems like Facebook is taking real action to do better in terms of social sustainability and governance. Professional investors, however, need to watch where the digital network giant is headed. “It is very important that investors speak openly and take a public stance against the misuse of social media – for example, for propaganda purposes,” HCP’s CEO Tommi Kemppainen emphasizes. WE PUBLISH our ESG analysis on Facebook not only to show that we are taking controversies regarding Facebook seriously but also to contribute to the debate on ESG standards. “Professional investors should speak openly about their concerns and publish their conclusions. ESG standards are still developing so the more organizations contribute to the debate, the stronger new standards come out of the process, Kemppainen notes. We continue screening the ESG ratings of our investments and analysing each low rated companies individually. We also take part in the debate on sustainable investment and revise our stance if needed. You can follow on our findings by reading our blog. You can read Ernst Grönblom’s Facebook ESG analysis here. The new investing year has had an explosive start. Markets saw a strong January rally. The HCP Quant fund rose by 6.77%. 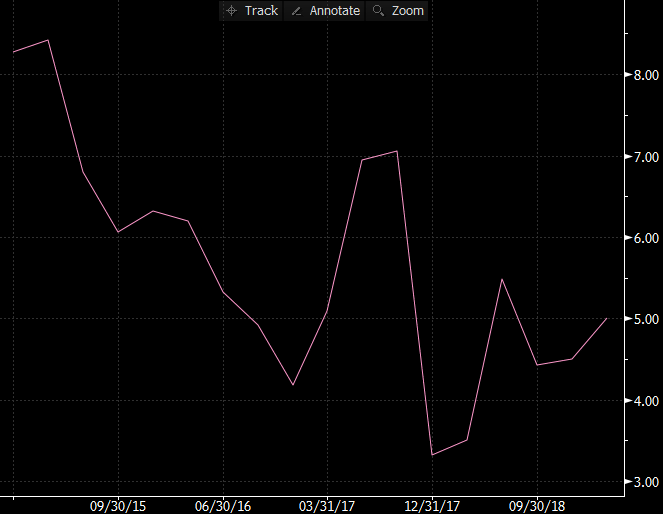 The benchmark index MSCI ACWI SMID Value Total Return jumped 9.83% in euros and the S&P 500 Total Return index tracking large companies in the US popped by +8.03%. In Europe, the S&P Europe 350 Total Return index rose by 6.24%. Especially in the US share prices came tumbling down. The correction has been strong since then. Are now done with the decline? 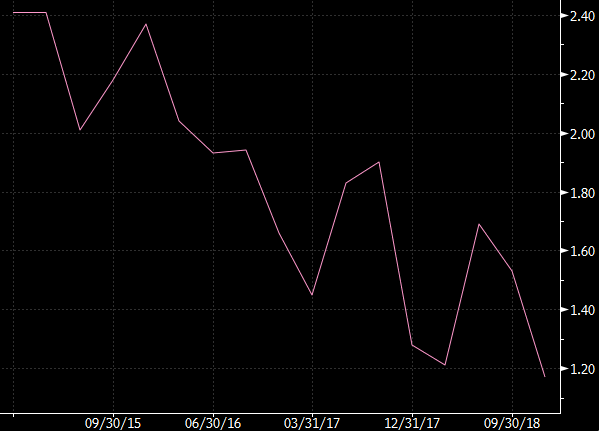 This makes one naturally think about if December offered an excellent buying opportunity for investors or if this was just a dead cat bounce. When weighing these options, it is good to examine the reasons behind the rise. What drove share prices higher? Is the rise on a sound footing? 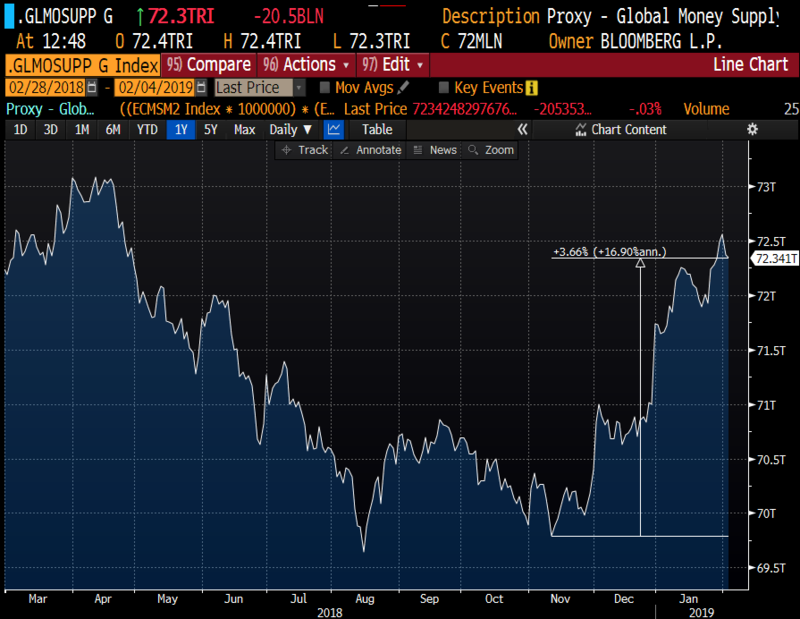 One perspective to the question is offered by changes in the world’s M2 money supply. Based on that, the recent rally is very much central-bank-directed. Stimulating economies through central banks is not a new cure when the economy starts gathering dark clouds above itself. We have enjoyed the wide central-bank-directed appreciation across asset classes for an unusually long period of time. When the engine starts coughing up, the solution to the problem would seem to be like the old, familiar remedy. However, before long kicking the can down the road needs to stop unless the underlying problems are fixed. But as long as central banks support markets, should investors generally speaking ride those coattails. 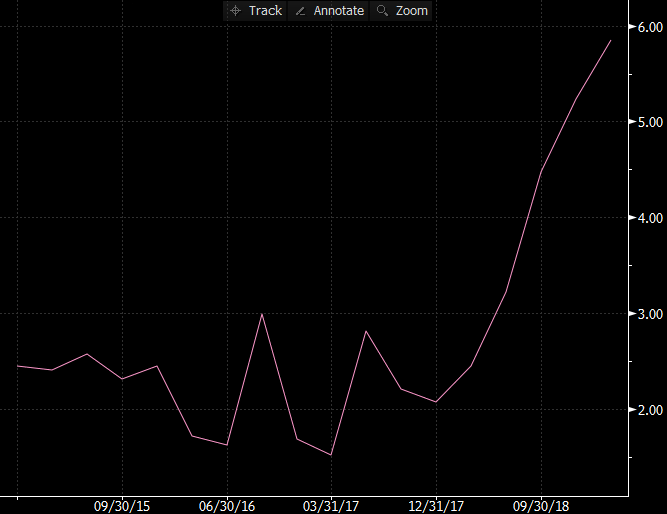 A few months ago I wrote in the investor letter that the Smart Money Flow index has taken a huge plunge. Being wise in hindsight is always easy, but at time the drop seems to have predicted a coming crash. It is good to keep in mind that no market indicator can predict the future with certainty. The Smart Money Flow index has at the time of this writing earned back its December losses, but is still below November’s level (13469) when I wrote about it, and clearly below the average level of the past twenty years. Based on this, the latest rise does not seem to have a very solid foundation. My interpretation of the situation is twofold. We have behind us an unusually long central-bank-directed rally period. In this environment, the greatest gainers on the exchange have been large growth companies. By several different valuation metrics, many publically traded companies are expensively priced. Many companies have three-digit P/E ratios (does anybody even remember the year 2000?) If earnings growth does not keep up, these companies will change in a moment’s time from expensively priced to extremely expensively priced. At the same time, a part of the companies is very much undervalued. 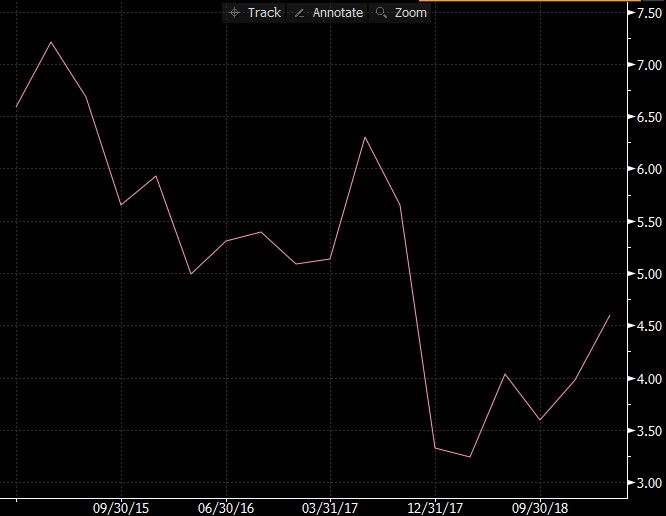 The effects of the quantitative tightening initiated by the Fed in the summer of 2017 spread into markets in 2018. Now it looks like the Fed will refrain from raising rates this year. In Europe, the situation is no rosier. The next rate rise will be done possibly only in 2020. Central banks are clearly ready to use the printing press when needed. If this goes on, it will favor the winning streak large growth companies have enjoyed so far. 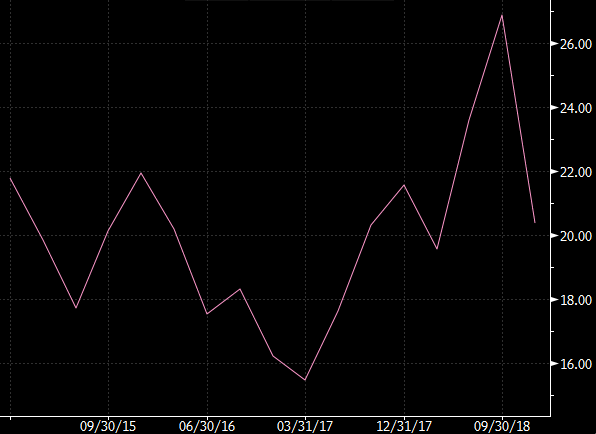 Past fall shows how nervous a situation markets are in. Many signs point to informed investors being unconvinced that share prices are on a solid foundation. My twofold interpretation is therefore that if centrals bank keep intervening in markets by stimulating, dog days are still ahead of us. Another factor supporting stocks would be positive changes in politics (for example trade war between USA and China, and Brexit.) Notice that none of these is a fundamental factor! Paradoxically, factors other than corporate fundamentals have been swinging markets for a long time. At the same time, the risk of a market crash is elevated. If we see great market turmoil, there will probably also be a change in the type of companies being favored by investors. Many star companies of previous years have quickly become pariahs. Mean reversion is one factor in the investing world. PS: Allen Cheng has written a 42-page summary of Charlie Munger’s classic book Poor Charlie’s Almanack. Buffett’s number two’s book is a collection of his best advice from over 30 years. This is a recommended read for everybody! You can download the summary from this link. The majority of the world’s stock markets fell during 2018. 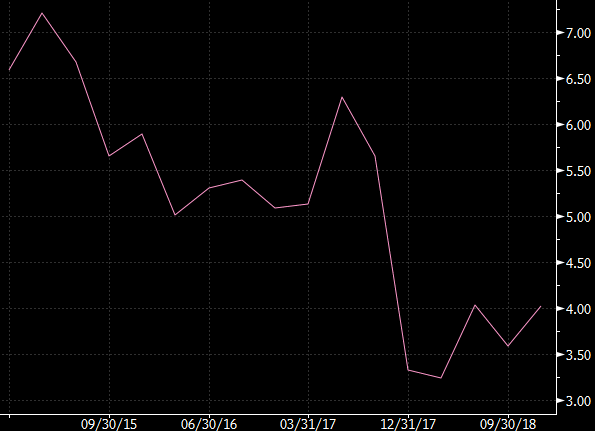 The value of HCP Black also fell by 3.36%, and there is nothing to celebrate about it. 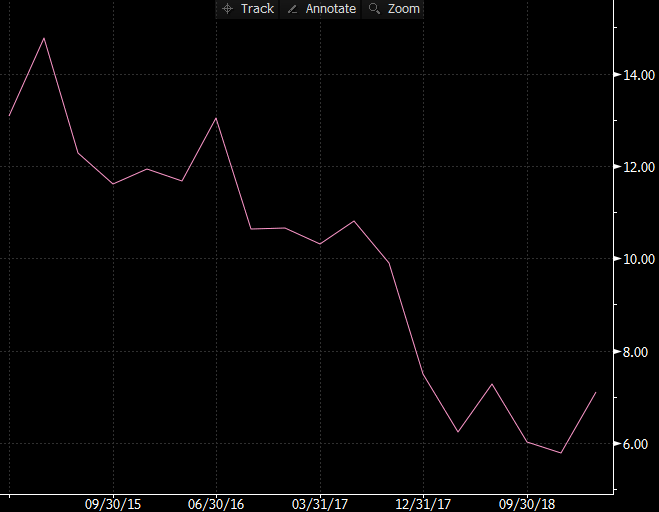 For comparison, however, let’s take a look at a global stock market index, the MSCI ACWI IMI, which fell nearly 9% in euros. Compared to this, the decline of Black by 3.36 % is relatively small. This means that the fund was fairly immune to the global falling trend. In addition, the volatility of the fund remained at just over four percent, which shows that it succeeded in diversifying the risk. Had the market decline been bigger and sharper than this, it’s probable that the fund’s return would have risen considerably on the plus side. The reason is that HCP Black currently mainly invests in asset classes other than stocks and bonds. Last year, HCP Black’s largest investment with a 35% allocation was in insurance-linked securities, which carry the risk of large-scale natural disasters, typically in annual contracts. The return and risk of this strategy are not dependent on the economic cycles, but on whether major natural disasters occur during the year of the contract. In typical years, these premiums can generate approximately a 4% annual return. In those years when major natural disasters like hurricanes take place, the insurance strategy generates loss. The years 2017 and 2018 made up the worst two-year period as regards actualized risk. In 2018, we were left with −1.3% with this strategy. However, our choice of security within this asset class was excellent because some securities that were on offer fell as much as 60%. When investing in such atypical asset classes, it is justifiable to pay for the selection of securities if you don’t intend to spend a lot of time on the process yourself. Because the devil is in the detail. It is this work, for example, that you pay for as a unitholder. The second largest allocation in HCP Black, with about 25% of investments, was a strategy called trend following, which aims at benefitting from the market trends of over one hundred different financial prices. In typical years, trend following generates some profit, but last year this investment block made a loss of 2.4%. If the market fall that began on Jan 26, 2018, continues and accelerates in 2019, this investment is likely to perform well. Trend following is an exceptional investment strategy for the combination of two reasons. Firstly, in a typical year, it generates some profit. Secondly, during stock market crashes, it is justifiable to expect it to generate significant profits because financial crises typically have strong trend-like movement. This investment category is further explained in this review of trends over the last 100 years, for example. HCP Black has invested in stocks through the funds HCP Quant and HCP Focus. I would like to remind you that HCP Black does not pay a management fee, neither fixed nor performance-based, for these investments. Within this allocation, HCP Focus generated a marginal 0.12% profit while HCP Quant made a loss of 2.5%. Despite the risks, it is justifiable to own stocks. For example, HCP Focus includes companies whose market value after 20 years could be nearer 100-fold than 10-fold compared to their current value. Focus invests in companies that benefit from network effects, such as peer-to-peer lending platforms. Such platforms are now a dime a dozen, but the one that first gains a critical mass of users may grow exponentially. HCP Quant doesn’t have such exponential growth potential. Quant chooses companies that are so undervalued that they are annually subject to buyouts from the stock exchange at a price higher than the market price. This deep value theme of HCP Quant has been unpopular in the market for nearly a decade, which means that it has not performed well. However, if western countries face a fate similar to that of Japan, where the size of the workforce decreases due to the aging of the population and where economic growth is revived by increasing the amount of debt, such companies that Quant invests in are the most likely stock market risers. HCP Black’s investments worldwide in real estate and in the Japanese real estate market yielded returns of −0.6% and +0.2%. Real estate as an asset class plays an important role in maintaining the purchasing power of money in the current economic situation. A short, less than a ten-year economic cycle already shows signs of slowing down. Also, a longer 80-year cycle of debt growth seems to have come to an end. 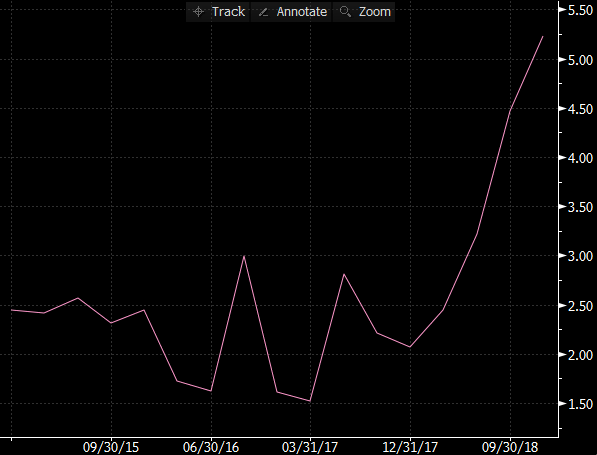 In the first quarter of this year, the increase in the size of central bank balance sheets will change into contraction. The economic history is full of chains of events where an aggressive increase of the amount of money has weakened people’s trust in the ability of money to maintain its purchasing power. This is when retaining the purchasing power has required investments in alternative investments like real estate. You can read more about different real estate investment themes in my writing Home in Homeland – Real Estate Investments Globally. The right choice of security is the key also regarding this investment. In my opinion, the best tactic is to buy in a property market that has already crashed (cf. Finland in 1992) in order to maximize the expected return relative to the risk. “The devil is in the detail” is a valid idiom also regarding the real estate market. Investments in gold and life insurance aftermarket yielded returns of 0.2% and 0.7% to HCP Black. From currency investments, the US dollar, the Japanese yen and the Swiss franc strengthened. These currencies are classics that have been safe havens in world turmoil. 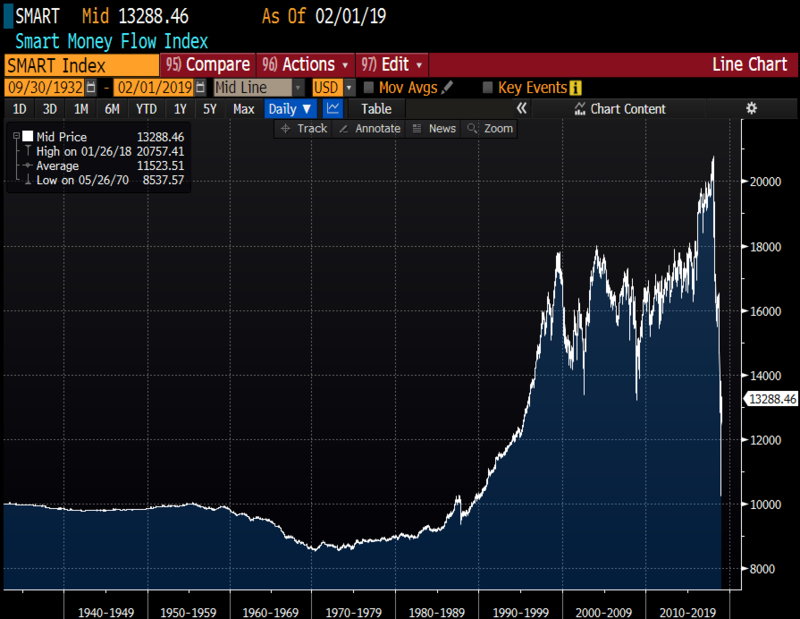 The same is true for gold – especially when the challenge has been about an excessive amount of debt. The life insurance aftermarkets are not cyclical, and investments in them should not suffer even in a poor economic situation. This is one way of managing risks in 2019. It should also be noted that the return of 2018 was reduced by one percent by the tail hedge, which is paid-for protection. Under normal circumstances, diversification of investments should be a sufficient tool for a fund’s risk management. However, now that the 80-year debt cycle seems to have come to an end and the risk of a market crash is exceptionally high, I think it’s justified to pay to reduce extreme risk. This has been handled by purchasing rights for a limited period to sell securities at a predetermined price. The value of the rights increases as the prices of the securities fall. As a rough estimate, this hedging can bring a 10% return to the fund in a typical stock market crash, and the return can be even larger if the market crash is bigger and steeper. But the loss is never more than one percent. For many of our customers, HCP Black functions as a tool for risk diversification. It is an investment whose value is mainly based on prices other than those of stocks and bonds. HCP Group’s own investable recession buffer, which is roughly a million euros when writing this, is also invested in the HCP Black fund. In this review, there is nothing new to report on the global stock market valuation levels and the historically high over-indebtedness in the world. You can read the background and gain some perspective from my writing How Much is a Lot of Debt? Looking ahead, HCP Black’s strategy is the best way I know how to invest right now when there’s anxiety about a recession, depression and the end of the long debt cycle. This is why we use the fund ourselves. During 2018, the over-indebtedness of the world began to unravel, which was reflected in the decreased value of many risky assets. The same development can be expected to continue also in 2019. The world’s central banks are likely to follow the American model and reduce their balance sheets – just as they increased their balance sheets the American way when quantitative easing began with the latest global financial crisis. As I write this, the market has fallen for a year already, and market volatility has increased. To my best understanding, current events are very similar to the previous debt-driven events in the world. If two years ago I had guessed the state of the stock market – after a year of America’s quantitative tightening, and when for the first time in the world’s economic history the balance sheets of all central banks are decreasing – I would have guessed the market to have fallen by 50% instead of a few percent. So it is surprising how slowly and unwillingly the market is now pricing current or future events. As I stated at the beginning of 2018, this is “the beginning of the end of this new era of quantitative easing”. As for 2019, this quantitative tightening can be expected to continue. It is especially important to understand the effects of this quantitative tightening. If you are primarily concerned with maintaining purchasing power, HCP Black is, according to my best understanding, positioned just right. You can always follow my market observations via the @hcpgroup Twitter account. Markets came down strongly in December. Low tide also arrived in America, which has been strong compared with other countries and continents. 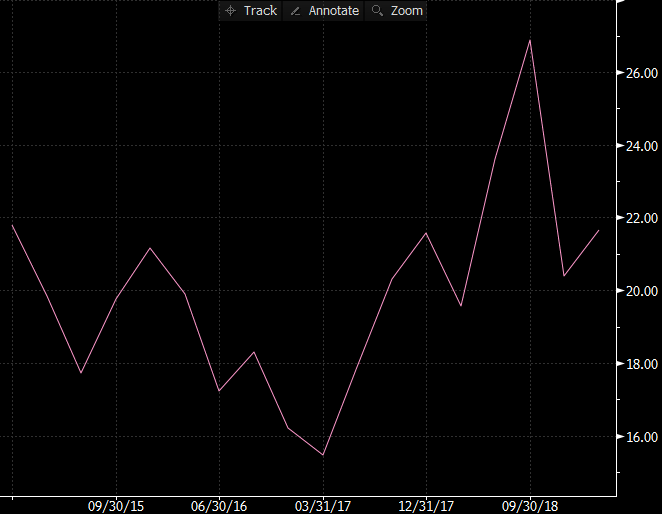 The HCP Quant fund did much better than its benchmark index during the month thanks to its lower weighting in the United States. The fund’s return was -3.82%. 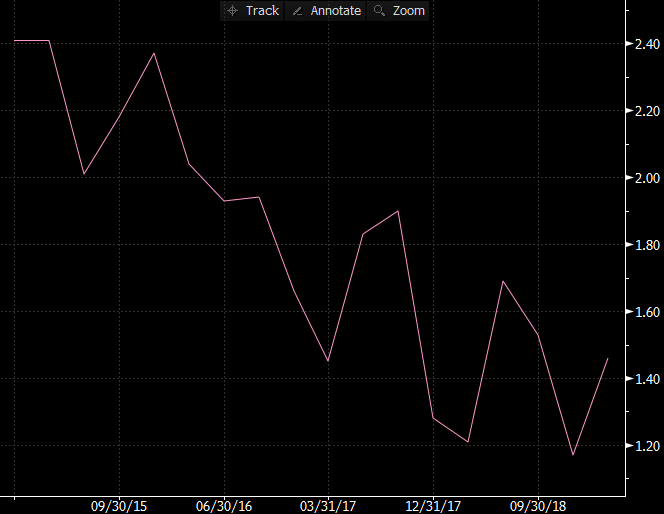 The benchmark index MSCI ACWI SMID Value Total Return, which includes gross dividends, fell 9.09% in euros. The US S&P 500 Total Return index fell an even bigger 10.12% in euros. Because of the US weighting specifically the benchmark index was in trouble in December. In Europe, the S&P 350 Total Return sank down by 5.54%. The HCP Quant fund’s and the benchmark index’s returns in 2018. In 2017, HCP Quant outperformed its benchmark index. In 2018, the fund stayed ahead of the benchmark index until the first day of August. The year was difficult everywhere. For example in Europe, Germany’s DAX index declined by 18.26%. The fund’s benchmark index MSCI ACWI SMID Value Total Return declined by 10.30% in euros during the year. 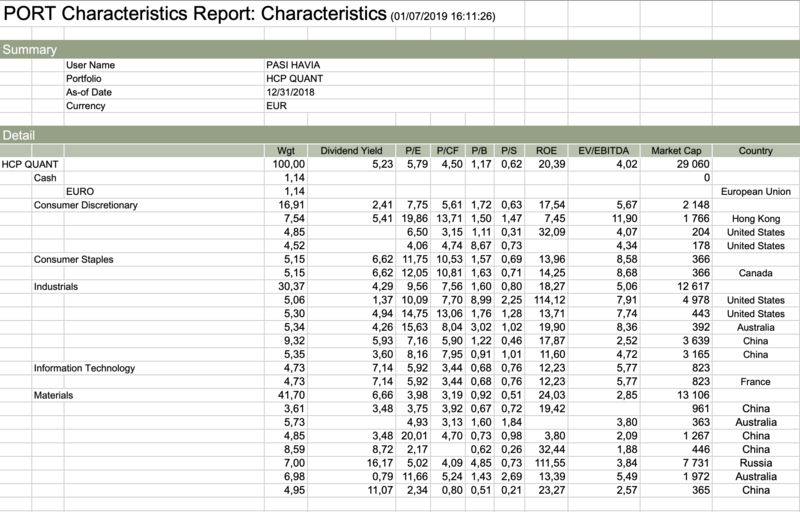 HCP Quant’s return was -20.21%. The S&P Europe 350 Total Return index tracking large companies declined by 9.90%. In the US, large companies’ S&P 500 Total Return index barely eked out a positive return in euros. If the index did not include gross dividends, it too would have had a negative return. The previous year was still a celebration of large growth companies. Value investing has been out of fashion for a historically long period. HCP Quant invests in small and medium-sized companies, which can be classified as so-called deep-value companies. They are cheaper than markets by several valuation metrics. You can find the more detailed key ratios of the fund below. For example in the US, the S&P 500 index, which includes approximately 500 biggest companies, outperformed the Russell 2000 index. The Russell 2000 index includes 2000 companies that do not make the cut for the list of 1000 largest companies, so small and medium-sized companies in markets. 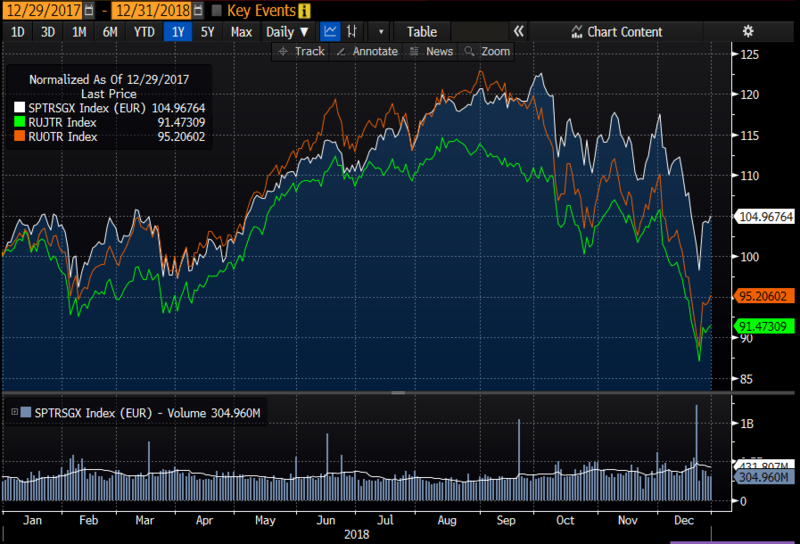 At the end of the year, the average company belonging to the Russell 2000 index had a market capitalization of 0.9 billion euros and the average company belonging to the S&P 500 index had a market capitalization of 14 billion euros. The average company included in the HCP Quant fund had a market capitalization of 1.7 billion euros. The Russell 2000 index includes the Russell 2000 Value Total Return with a weighting to value stocks and the Russell 2000 Growth Total Return index with a weighting to growth stocks. 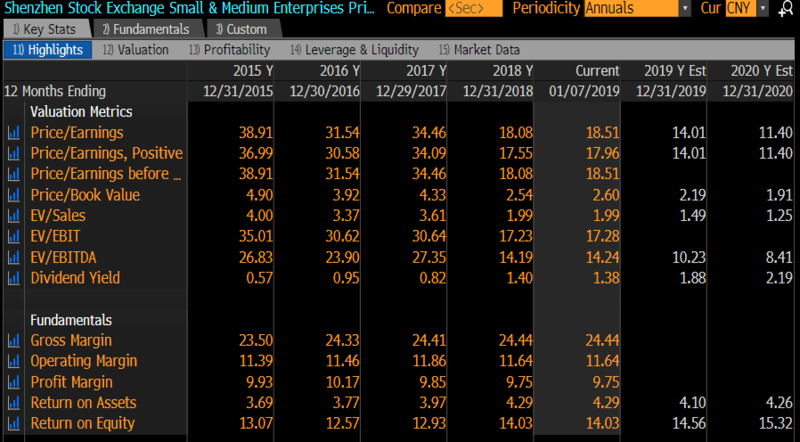 By comparing these indices to each other, it is easy to notice the difference between value stocks and growth stocks when looking at small and mid-sized companies in the United States. 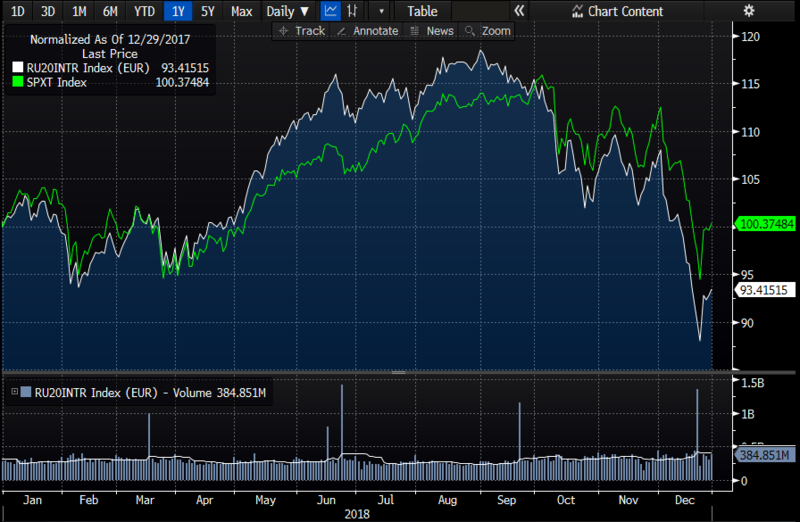 Whereas the S&P 500 Total Return tracking large companies returned +0.37% in 2018, the Russell 2000 Value Total Return index’s return in euros was -8.53%. Let it also be mentioned that the S&P 500 Growth Total Return weighted towards growth stocks returned +4.97% in euros. The return difference between small and medium-sized value companies and large growth companies was 13.5 percentage points! Small and medium-sized value companies lagged behind this development in the United States, and the situation has been no better anywhere else in the world during the year either. Chinese stocks have had the greatest weighting in the HCP Quant Fund for a long period of time. The situation was particularly difficult in China. 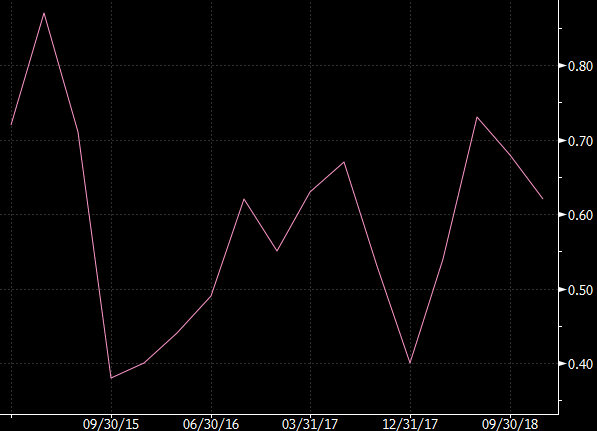 China’s stock indices’ (price index) returns in euros in 2018. 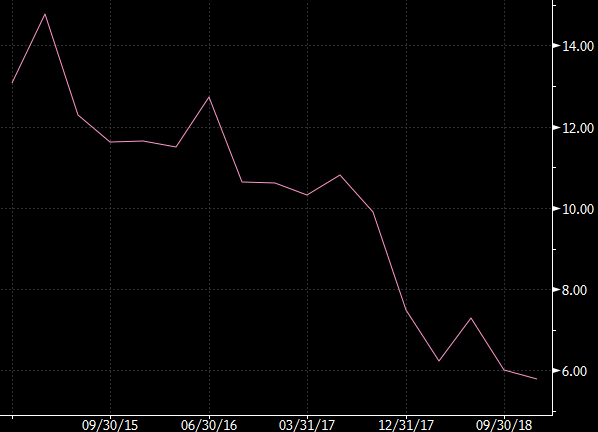 China’s CSI 300 index declined by 25.76% in euros in 2018. The CSI 300 index includes 300 largest companies on the Shanghai and Shenzhen stock exchanges. It tracks the development of the largest companies just like the S&P 500 index. The average company in the CSI 300 had a market capitalization of 12 billion euros at the turn of the year. It is also noteworthy that the financial sector has a significant weighting in the index. At the turn of the year, 35% of the index was in the financial sector. In the Shanghai Stock Exchange Composite index, the financial sector’s weighting is 32%, so its return tightly tracks the CSI 300 index. In HCP Quant’s strategy, the financial sector has been excluded. The Shenzhen Stock Exchange Composite index’s structure is different. The index consisted of 2164 companies at the turn of the year and the financial sector’s weighting was 5%. A more balanced allocation between sectors tells the ugly truth about how widely stocks have declined in that country. The index’s return in euros was -33.65% for the year. The Shenzhen Stock Exchange Small and Medium Enterprises index in turn came down by 38.12% in euros this past year. The average company’s market capitalization in the Small and Medium Enterprises index was 3.7 billion euros. Below is more information about this index’s sector composition and valuation levels. 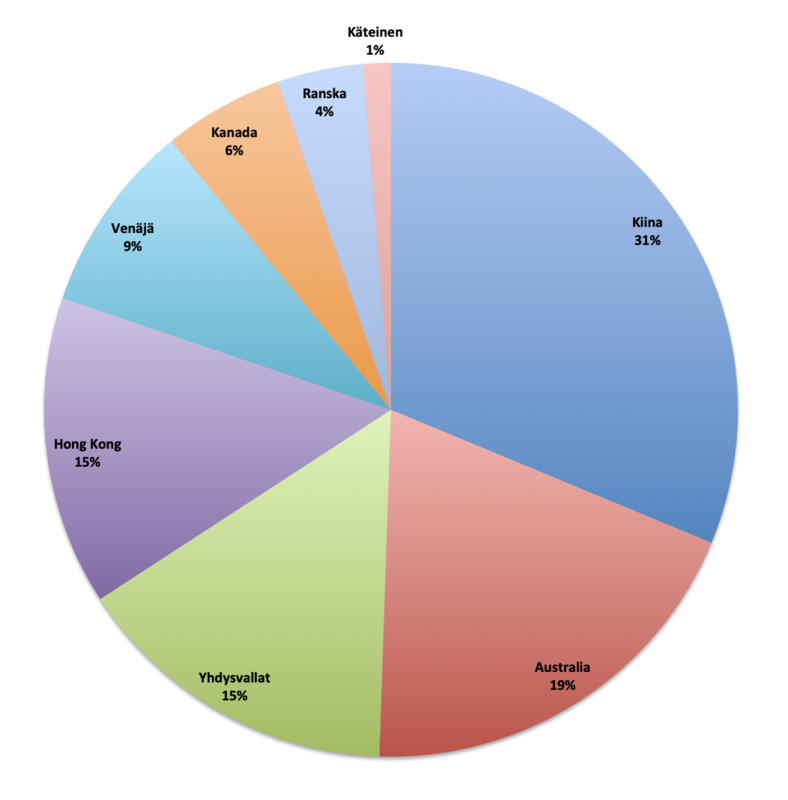 Below is a compilation of the largest home countries of HCP Quant’s companies during the year. 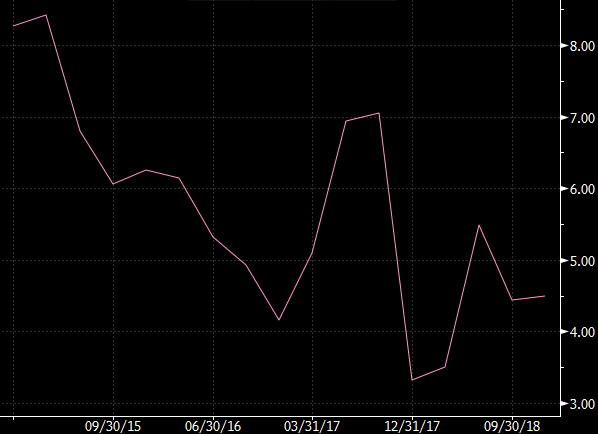 On average, China’s weighting in HCP Quant has been 29 percent, fluctuating from 22 percent to 38 percent. Australia’s weighting has been 13% on average, Canada’s 12%, and the United States’ 12%. 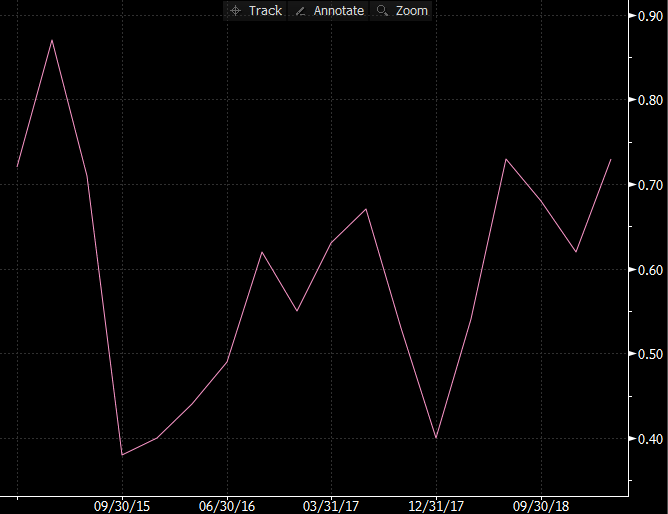 For comparison, in the MSCI ACWI SMID index the United States’ weighting is 49%. 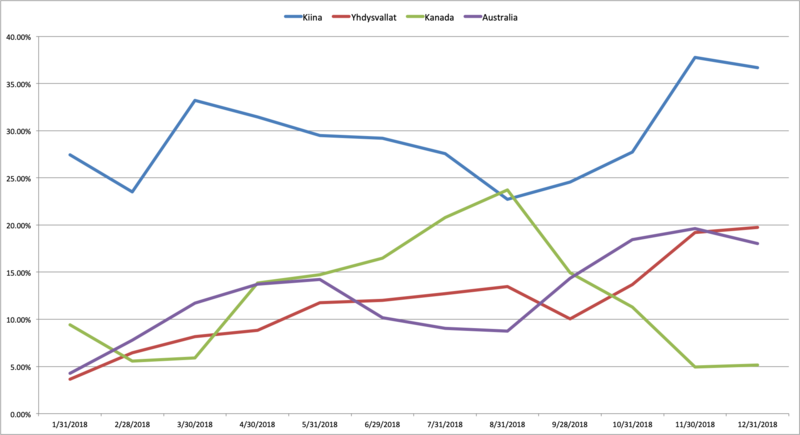 HThe HCP Quant fund’s biggest country allocations in 2018. The year was understandably challenging for the fund. Markets declined strongly but especially value companies and smaller companies did even worse. The past year has been characterized in my opinion by something completely different from corporate fundamentals. Especially when it comes to China, stock prices have been swung around by Trump’s talks, actions, and tweets. The country has been hammered strongly by, for example, tariffs set by the US. China is playing its own game and in recent times there has been more and more talk of the country starting a stimulus program. 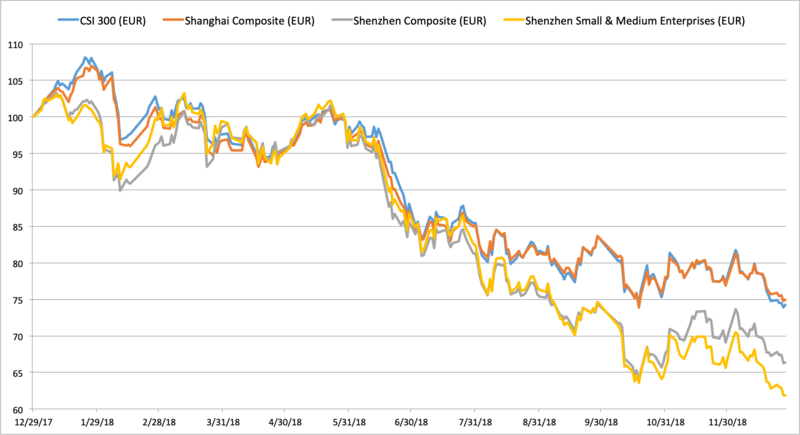 I cannot evaluate how this will all turn out in the end but if China decides to rely on new stimulus or takes other supporting actions, it can push local stocks into a surprisingly strong and quick “relief rally.” At current prices, it seems like the threat scenarios are more strongly present in the air. Where China has dark clouds above it, the US has been enjoying figurative sunshine for possibly too long. The number of zombie companies has grown to a significant size in the low-rate environment. 25%-30% of companies in the Russell 3000 index are loss-making. Growth companies’ valuations being justified would require profit growth the likes of which we’ve not seen in a long time. No wonder than that for example James Montrier is very pessimistic about the United States’ future development in his latest writing. They try to keep their clients’ exposure to the United States as close to zero as possible. 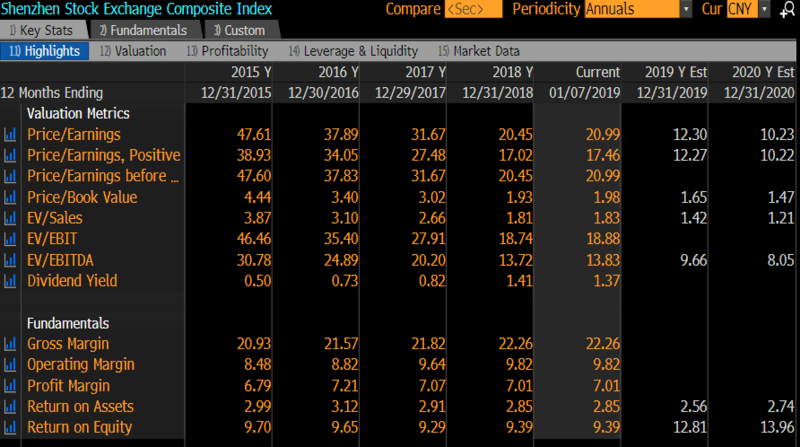 Above are the HCP Quant fund’s key ratios and country allocation from the last day of the year and the ratios’ quarterly development from a longer period. I’ve welcomed the strong tremors experienced at the end of the year because often these strong declines have changed the investing atmosphere by continuing. Last year investors have been spoiled by styles that have not outperformed over the long term. Because of this, HCP Quant will go on making systematic use in its investing activity of historically functional anomalies. I cannot predict the future but I trust that the coming investing year will be very interesting. I wish you a successful 2019! In the times, when portfolio managers are highly criticized for chronically losing their benchmark indexes and European Union is reforming its policies on financial companies’ transparency, the asset management companies should strengthen the relationships with stakeholder groups. Customers are one of the most important stakeholder groups for financial companies and their knowledge about investing is growing. As it grows, they realize that the most important matter for them to know is how much money they will earn from the funds. This is why it is important for financial companies to offer customers more alternatives for estimating the risks and returns from the funds. Fund Return is a standardized way for asset management companies to show the performance of the funds. It is a geometrical figure, which shows the performance of one currency unit during a measured era. Generally, the figure includes a benchmark index to which the fund return is compared. Below is an example of a Fund Return indicator with its Benchmark Index. HCP Focus – Historical Performance of the Fund Compared to its Benchmark Index. The purpose of the thesis is to find out whether Finnish asset management companies use Investor Return as an indicator to measure customers’ income in euros. My own assumption was that asset management companies do not use the indicator in any way. In the thesis, I interviewed staff from several asset management companies. All in all five companies agreed to give an interview. Two CEOs, two portfolio managers and one manager of development and growth took part in the research. The outcome of the interviews was that all the participants were familiar with the idea of Investor Return. One CEO uses the indicator to show the performance of funds customer-specifically. Also, one of the portfolio managers told that in a company he worked before they used the indicator as a part of “superior portfolio report” shown customer-specifically. None of the companies the interviewees represented were using Investor Return in ads and brochures of their funds. One of the interviewees noted that the indicator would be too complicated for customers to understand. He thought that customers need to know all the useful information on the funds but in a clear and understandable way. Another interviewee said, that he would recommend the indicator only for professional customers who understand the idea and terminology of the matter. Also, one interviewee raised a broader problem of the indicator. He thought, that since the portfolio managers are often compared to benchmark indexes, Investor Return wouldn’t be comparable to any indexes and this why it wouldn’t be a useful tool to compare portfolio managers’ performance. The most important point of the theories in the thesis is the debate between two different ways of measuring the performance of the funds. Investor Return is a good tool to tell the customer how the average investor performed during an era. However, it’s not the best tool to measure the performance of portfolio managers. Portfolio manager can’t control the asset flow in and out of the fund. 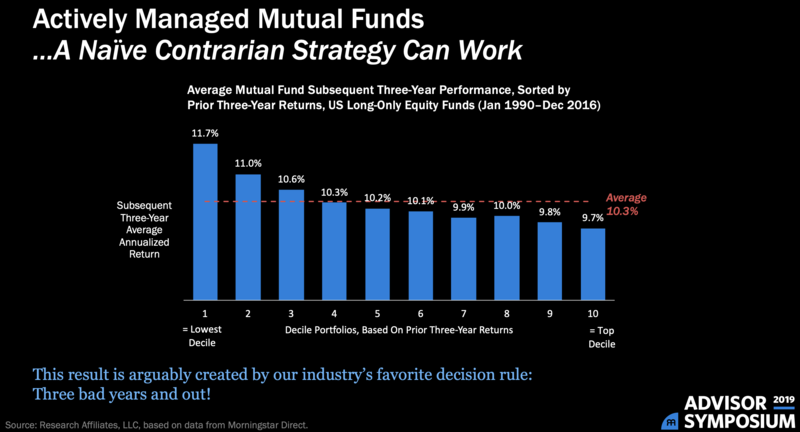 This why Fund Return shows the performance of the manager better compared to Investor Return. Customers’ returns from the funds lag the fund returns globally, which is shown in Morningstar’s Mind the Gap (2017) research. Fund Return indicator is not affected by investors’ timing ability. Then again, Investor Return indicator is. Below is a figure, where one can see the reason for investors losing money also in a well-performing fund. The Fund Return only shows how one currency unit has performed during an era. It doesn’t show how investors in the fund have performed during the same era. This is how Investor Return would show different data in a well-performing fund, in which investors make net losses. Investors’ net losses in a well-performing fund. The figure leads to the main points of the conclusions. In my opinion, one of the most important tasks for an asset manager is to counsel the customer in investment decisions. The manager should consider the risks of the investment with the customer for example in a sales negotiation. Investor Return would be a good figure to show the customer to point out the importance of a customer’s timing in the fund. The indicator would be useful when the risks of the funds are discussed. Also, it would give the customer a chance for broad observation of the fund’s performance if the Fund Return is shown to the customers with the Investor Return. The combination of the two indicators would show the performance in a diversified way. A Customer would be able to make more considered investment decisions after seeing, how other customers have performed in the fund. In addition to the matter that Investor Return would calm customers’ desires to buy and sell when the markets are changing, the indicator shows the reality in the historical performance of funds. Theories of the thesis brought up a question of merging funds. Funds are being merged sometimes as a result for asset management companies needs to arrange and organize the funds. The criticism of the funds’ merging showed that sometimes the companies are willing to hide the past performance of the funds. By showing only the Fund Return indicator this kind of procedure would be possible. If the Investor Return indicator would be shown with a merged fund, it would show the true returns behind the new merged product. Investor Return is an indicator which shows the average investor’s income in euros. If it were shown for the customer fund-specifically with the Fund Return indicator, it would give a comprehensive picture of the fund’s performance. With the help of an asset manager, the indicator would be easily understood, and it would give precious information to the customer. Also, the indicator could lead to longer-lasting customer relationships for the asset management companies. My suggestion for Helsinki Capital Partners is that they should use the Investor Return indicator fund-specifically in funds’ ads and brochures. It would also be good to show the indicator fund-specifically in annual reports. “I did my internship at Helsinki Capital Partners in summer 2018. It was an extremely interesting and educating experience. My interest in the financial sector was greatly increased during the summer and I decided to write my thesis for the company. I’m studying my fourth year of International Business in Vaasa University of Applied Sciences. Due to the extended scale of the program, it was relieving to notice my passion for finance.